Recent #MeToo-inspired media attention to workplace sexual harassment claims has caused a number of states to pass employee-friendly legislation intended to help prevent such conduct. On March 18, 2019, New Jersey Governor Phil Murphy joined the trend, signing into law a bill that, among other things, targets the use of so-called non-disclosure provisions in employment contracts and settlement agreements. The new law, Senate Bill 121, prohibits employers from enforcing against employees or former employees any “provision in any employment contract or settlement agreement which has the purpose or effect of concealing the details relating to a claim of discrimination, retaliation, or harassment.” While employees can negotiate and rely on such non-disclosure provisions if they so choose, they become unenforceable against the employer if the employee “publicly reveals sufficient details of the claim so that the employer is reasonably identifiable.” In fact the law requires all settlement agreements resolving workplace discrimination, retaliation or harassment claims to warn employees, prominently and in bold font, that they could waive the right to enforce a non-disclosure provision against their employer through such public revelations. Senate Bill 121 contains other significant provisions as well. For instance it prohibits any contract provision “that waives any substantive or procedural right or remedy relating to a claim of discrimination, retaliation, or harassment”—a provision that is likely to be challenged if it is interpreted to prohibit the use of arbitration agreements. The new law also prohibits retaliation against an employee who declines to sign an agreement with a provision that is unenforceable under the law; an employer who violates this section is liable for the employee’s attorneys’ fees and costs. Also notable is that Senate Bill 121 is broader than its recently-enacted New York counterpart, which prohibits the use of non-disclosure provisions in settlement agreements *only* if they involve employee allegations of sexual harassment. New York law also permits non-disclosure provisions if the employee prefers and consents to such inclusion—an exception that is absent from the New Jersey law. Senate Bill 121 is broadly but, in some ways, ambiguously worded, and the practical impact of the law on non-disclosure provisions in settlement agreements—a staple for sure—is yet to be determined and may be tested in litigation. (When, for instance, does an agreement have the “purpose or effect of concealing the details relating to a claim”? Does the non-disclosure prohibition extend to the details of a settlement agreement itself—for example the amount of any monetary consideration?) At a minimum, New Jersey employers should review their standard employment contracts and settlement agreements to ensure that they are in compliance with the new law. This includes giving due consideration to any amendments or automatic renewals, which could bring even existing agreements within Senate Bill 121. 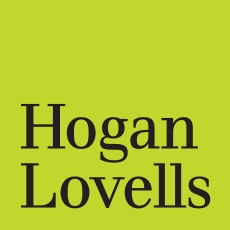 The employment team at Hogan Lovells has extensive and wide-ranging experience drafting employment contracts and settlement agreements, and is available to assist.